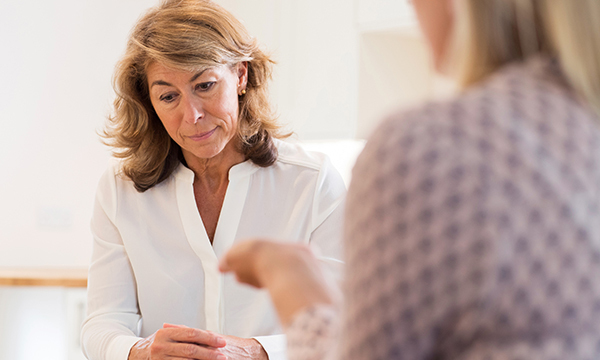 A promise to offer sexual assault survivors mental health support for life could be undeliverable if mental health nurse vacancies are not addressed, the RCN said. The college was responding to this week's publication of an NHS England strategy that says anyone who has been sexually assaulted or abused will be able to receive post-trauma care for the rest of their life. The strategy has funding of £4 million per year until 2020-21. However, RCN head of nursing Wendy Preston said delivering this long-term care would be challenging without more mental health nurses. A recent NHS Improvement report revealed there were 6,714 mental health nurse vacancies in England, almost a third of them in London. Ms Preston said: ‘Lifelong counselling could be a valuable tool to help people cope, but this type of long-term personal care is increasingly difficult with the staff shortages we face. NHS England director of sexual assault services Kate Davies said the ongoing mental health needs of survivors could not be ignored. Minister for mental health and inequalities Jackie Doyle-Price said people who had experienced sexual assault or abuse needed to feel confident the NHS would provide the right care and treatment. ‘The scars left by sexual violence may not always be visible, but they can be profound and long-lasting – it is my priority that we have the best possible support available for survivors,’ she said. In the foreword to the strategy, England's chief nursing officer Jane Cummings said the number of high-profile sexual assault cases brought to national attention this year highlighted the role of NHS staff in supporting people who had experienced sexual assaults and abuse. Police recorded 138,045 sexual offences in England and Wales between October 2016 and September 2017, the highest figure on record.